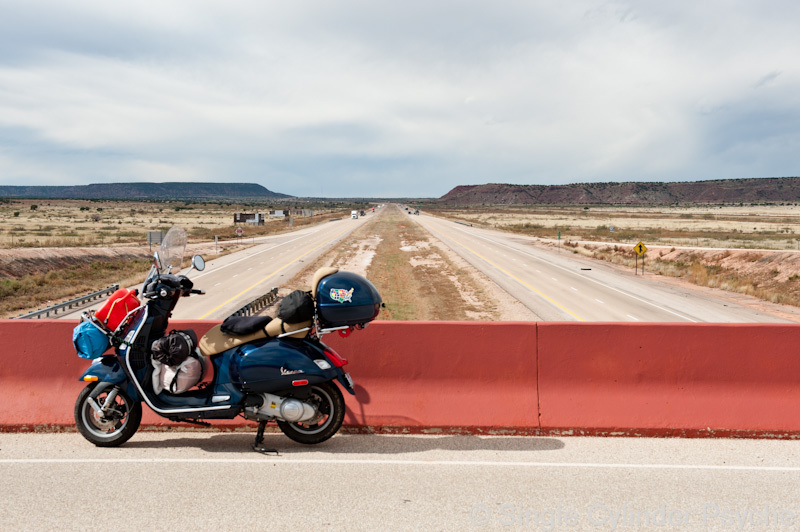 As I was planning this day’s ride I discovered there is a Vespa dealer in Albuquerque, 180 miles forward. The trip has been more miles than I planned and it was time for an oil change. I phoned the dealership, actually named Honda Power Sports, and they said because I was traveling they would fit me in. So the day became a ride down I-40 to get to Honda Power Sports in time for them to do the maintenance. Not a big picture day. 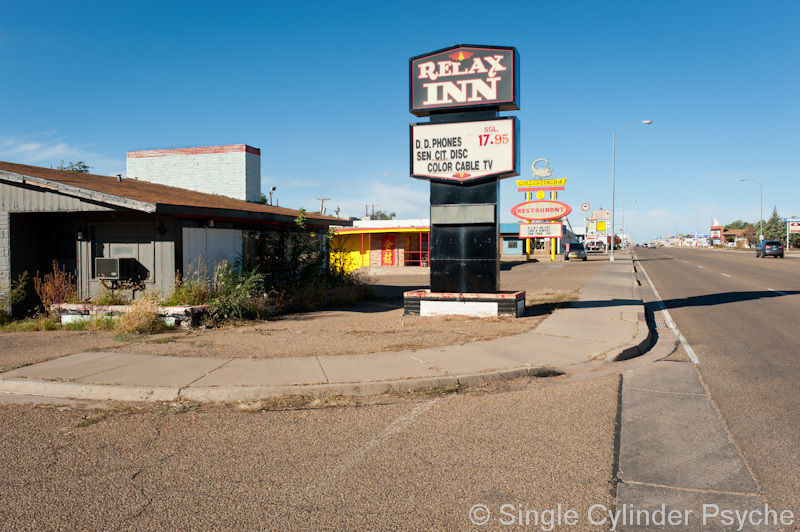 Before I left Tucumcari I took a couple of pictures of the Route 66 portion, just to document the ruins of what may-be used to be a vibrant area. In retrospect I probably should have made a bigger effort with the pictures, but I was in a hurry, and the place was a little depressing to me. There wasn’t much here except what a local described to me as businesses trying to capitalize on the “gravy train” of historic Route 66. 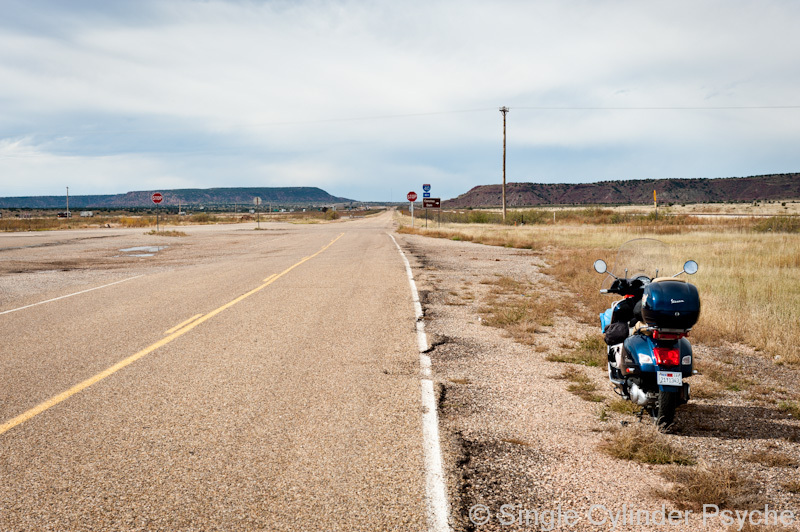 Riding I-40 reminded me of why people use the interstates, you get an overview of the area and you get there fast. 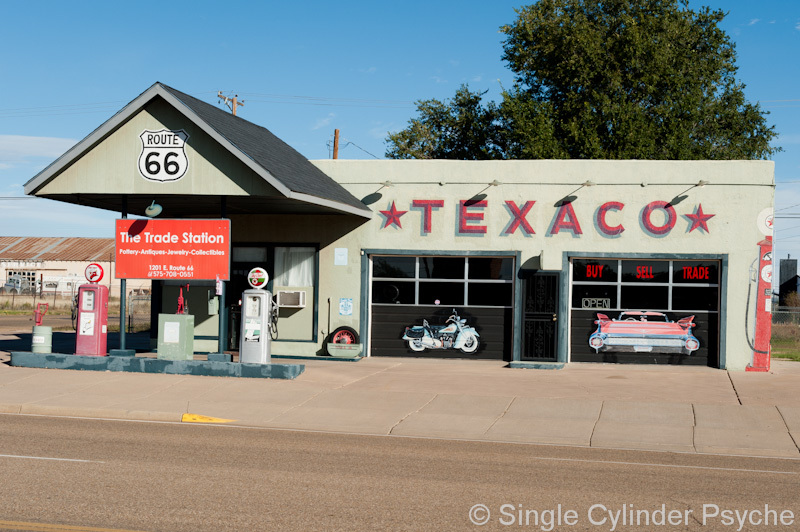 The actual Route 66 runs parallel to I-40 in this area, but you wouldn’t want to drive or ride it. You couldn’t. It’s intermittent, in some places has gravel or weeds on it, and at one point I saw where it dove into a water pond. The excitement for the day came in the form of rain. 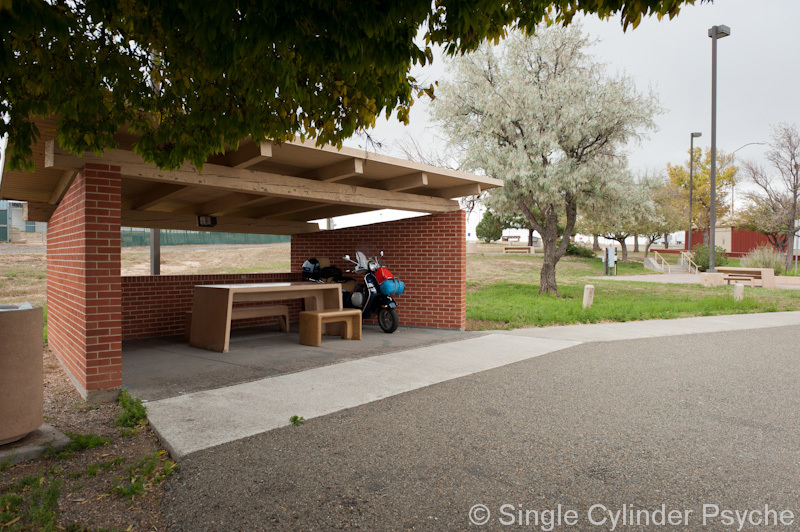 Just as it started a rest area appeared so I parked in a picnic shelter to put on my rain gear. I did make it to the oil change in time, then had a hot dog and pizza for dinner at Costco, and checked into a Best Western to end the day. Albuquerque was very efficient. All of this happened within a half mile radius of the freeway exit and I didn’t get lost. Thanks for finding more of the folk art murals and sculptures. There is a lot of talent in local citizenry all across this country. Glad you missed the rainstorm in NM.